I read this article and found it very interesting, thought it might be something for you. The article is called Design: Rick Banks – Clubbed and is located at https://www.totallydublin.ie/more/design-section/design-rick-banks-clubbed/. The history of club culture fascinates me. No singular element in particular, more how every skillset of those working together synchronised to create such social magic, build communities and drive culture forward. Borne of a DIY ethos, the part to make these pioneering events happen is still the stuff of legend, and it laid the groundwork and wrote the rules for what we know and enjoy today. An integral part of this apparatus was graphic design which defined many of the best clubbing brands and institutions here and across the world. I saw the next trends in graphic design emerge and this is where many seminal graphic designers cut their teeth. The idea that design could not only help persuade people to come to a particular night or event, but actually own the experience and build cult followings blew my mind. Rick Banks has documented this in his new publication Clubbed. I publish books I’m passionate about. My previous two publications were both about football. Dance music, my other passion, was hugely influential to me when I was growing up; it was one of the biggest reasons I got into graphic design. 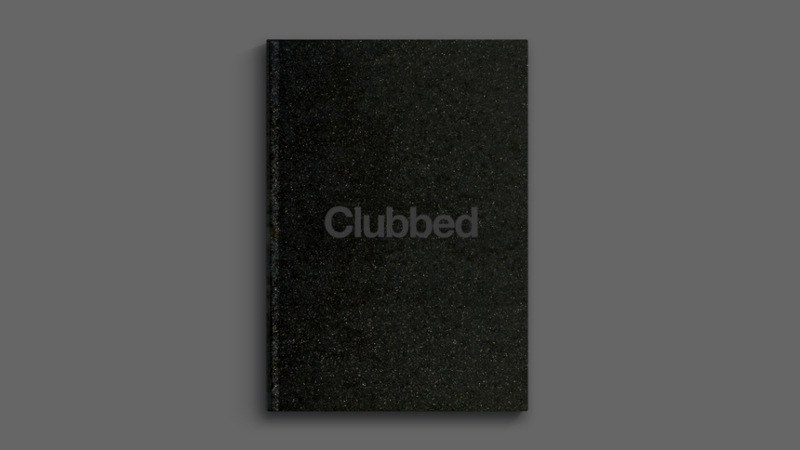 For years, I was always amazed no one had done a modern, visual book on clubbing. What’s your story within club culture. Why is it important to you to put this together? In my teenage years, I loved spending hours in record stores, browsing vinyls and CDs. In addition to hunting down specific tracks I’d heard on the radio or on Napster, I often bought records based solely on the cover art. I didn’t know it at the time but looking back I was infatuated with the details within the design. I would obsess over the logos and try to redraw them in my school books. I’d sit in my bedroom and read all the tiny 5 point copy on the packaging for Gatecrasher CDs or admire the stunning abstract still life photography on a Renaissance flyer. I’d open the inner booklets and read all the footnotes, and memorise who designed what and who produced what. I would study the grid system counting how many columns compilations and club posters showed. I soaked up everything and tried to replicate what I’d seen by making mix-tapes with accompanying — albeit awful — artwork! At the time, I was still too young to go clubbing but I loved the music and embraced the culture like a true fan boy. I bought CD’s, vinyls, posters, merchandise, and collected flyers and magazines. I find it strange that nowadays, this whole experience is often reduced to a tiny square JPEG, often poorly designed, in the bottom corner of Spotify or iTunes. The designs in the book — the very same ones I loved when I was a teenager — formed the designer I am today. The club scene has dwindled as music venues have been pushed out of many cities, including London, where skyrocketing real estate prices and other factors have forced many to shutter. Clubbing culture is getting smaller. I wanted to celebrate the past with all the pre-internet artworks that inspired me. I didn’t want them to vanish. I also wanted to celebrate the future of clubbing. New multi-use clubs like Oval Space and The Printworks have very strong graphic identities. They seem to care about the importance of design in the club world. As The Haçienda promoter Paul Cons once said: ‘Think of a club which is successful and you will be thinking of a club that has effectively branded its image on a flyer.’ All modern clubs featured in the book have done this. They all have a unique style and voice; something to set them apart from the crowd, whether through clean minimalism, fluorescent illustrations or bonkers photography. Each club has invested in design. Your personal favourite club ID and design work? My personal favourites are Cream and Gatecrasher. 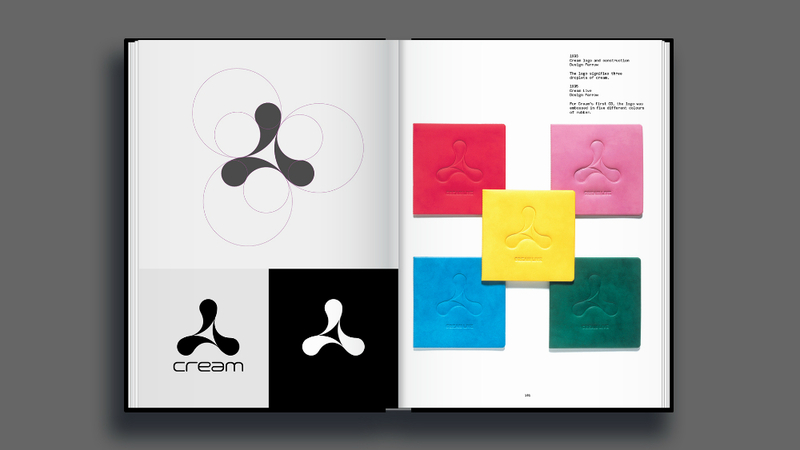 I actually wanted to shave the Cream logo into my head as a teenager! Embarrassing looking back. But that’s how strong the logo is. It’s timeless. Farrow’s Swiss approach heavily influenced me growing up. I loved the minimalism and print finishes. I liked everything about tDR’s holistic approach for Gatecrasher — the bespoke font, the tiny details, the lairy colours, intricate illustration and distinct tone of voice. 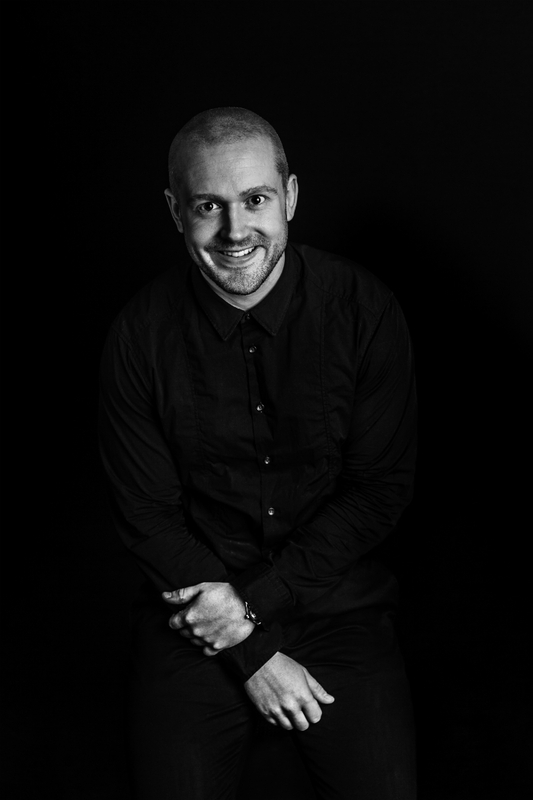 Your clubbing design hero, and why? It’s got to be Peter Saville. He had huge role in sculpting the visual culture in the 80s. Under Peter’s creative direction The Haçienda, in a somewhat subversive, ‘questioning the system’ and ironic way, began acting like a quasi-powerful company with modern logos, bespoke fonts and playful copy. 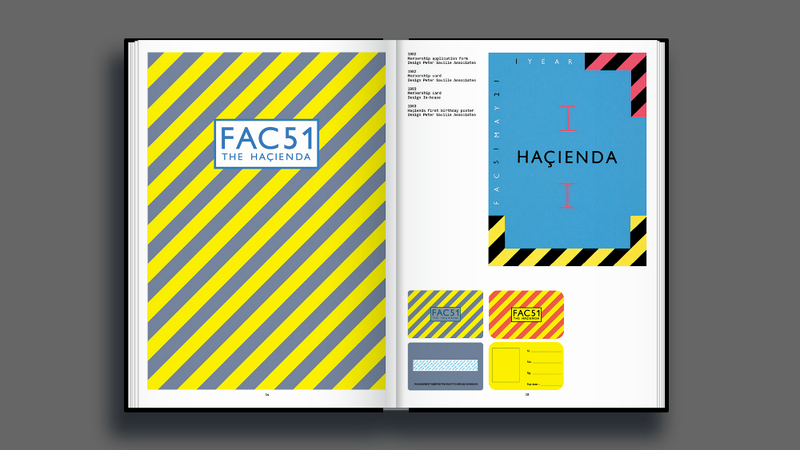 The Haçienda’s designs were both trend-setting and avant-garde. It was a branding blueprint for the future. From a brand and financial point of view Cream nailed it. James Barton set up Cream in Liverpool on October 1992 alongside Darren Hughes and Andy Carroll. 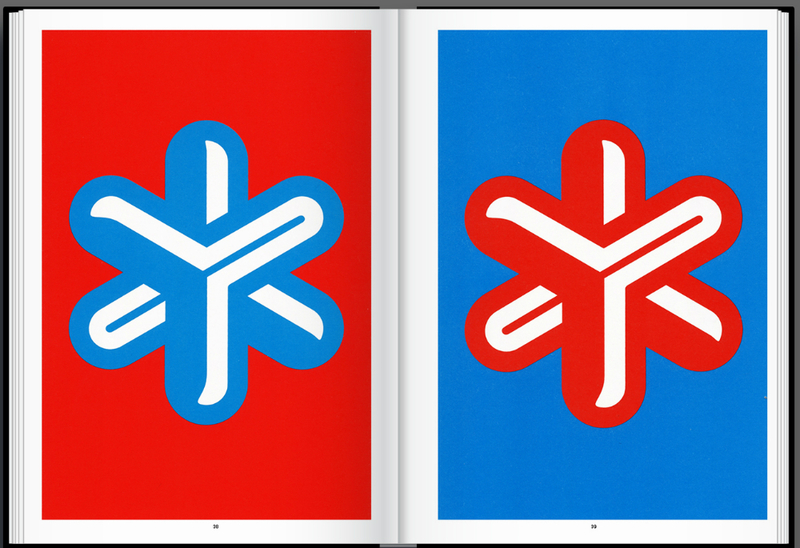 He quickly invested in the brand and commissioned Farrow who designed arguably the most famous clubbing logo. For 10 years, in the era of the ‘superclub’, Cream hosted weekly house and trance nights at Nation. Most of the clubs in the book have gone under and not many have stood the test of time. Sadly, Nation has now become residential flats but, as a brand, Cream still lives on. Unfortunately, I was too young to go clubbing in the super club era. However, I go to the Cream Reunions which are awesome. I’ve also had a few good nights in Fabric too! Your favourite club mix of all time. Paul Oakenfold’s Essential Goa Mix in 1994 followed by James Zabiela’s Essential Mix in 2010. You could bring back any club today. Which one would it be? Where do you think clubbing is at now, creatively and culturally, and where would you like to see it going in the future? Not a lot of clubs or music labels are championing graphic design in the UK. I presume this is down to budgets. In the nineties and early noughties there was a lot of money in the music industry. Clubbing was huge. It was on prime time TV. Clubs and labels had massive budgets to employ the top designers in the country. And this showed in the work. Sadly I just don’t think there is the money to employ top designers anymore. With the invention of the internet and smartphones equipped with instant notifications the art of the flyer/poster has died. However, clubs like Numbers break this mould and have created some beautiful posters. I like Sadiq Khan’s new London Plan draft. Hopefully that will help protect clubs, pubs and live venues from property developers. Councils also need to stop trying to shut down clubs. I’ve not thought of a documentary but I think it would work. People would be genuinely interested to hear all the stories behind the work. Just by researching the book I’ve heard some unbelievable stories, such as, Tony Wilson being shot at! Do you have plans for Clubbing 2? Certainly feels like there’s a lot more fuel in the tank. I’m not sure. 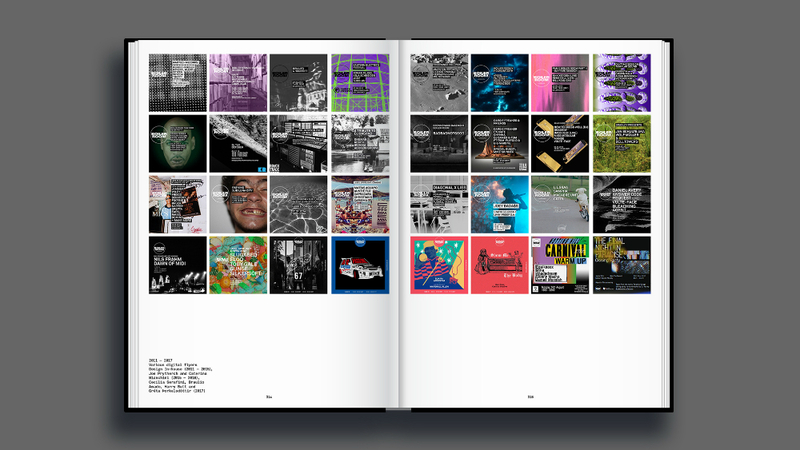 I’d like to go back to my original book idea and explore the design and art of all the big clubbing/dance labels. Rick Banks will speak at Vinyl Dublin which takes place in Royal Hospital Kilmainham this May Bank Holiday (May 5-7). It features specially programmed talks, panel discussons, curated collections, performances and much more. Guests include Bob Geldof, Shane McGowan, James Lavelle, Andy Weatherall, Cillian Murphy, Portishead, Tim Burgess, Edith Bowman, Kevin Shields and Snow Patrol.